I’m gonna admit, I went a little nuts on buying up all the movie prequels ;P This one was really good though! We get to find out where in all the realms freaking WAR MACHINE (aka James “Rhodey” Rhodes) even was while New York was crumbling down around everyone’s ears (spoiler alert! He was out being a badass ;P) and we see the humble beginnings of the Iron Legion. All in all, it was a great read, I enjoyed the heck out of it! 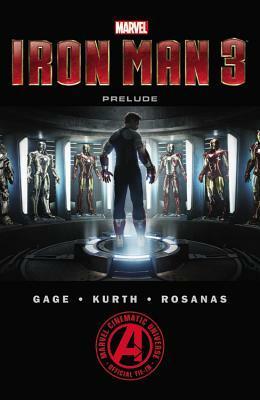 Sign into Goodreads to see if any of your friends have read Marvel's Iron Man 3 Prelude.